Lexington Emergency Management graduated its 29th Community Emergency Response Team (CERT) on November 7, 2018. CERT Team 29 completed nine weeks of rigorous instruction. The training classes were three hours long and taught disaster preparedness, fire safety, and suppression, disaster medical operations, light search and rescue, disaster psychology, radio operations, team organization, terrorism incident and accident response. The last class was an actual disaster exercise. 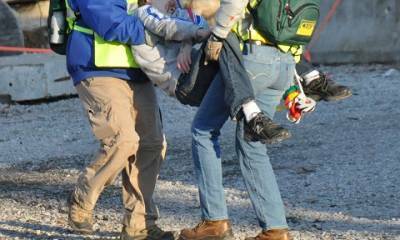 The disaster exercise CERT Team 29 faced was a simulated tornado strike on an urban Lexington neighborhood. 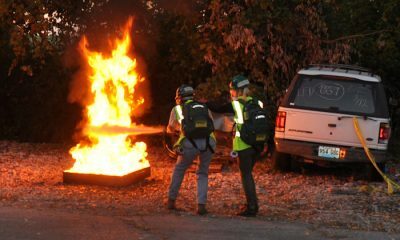 In the dark of night, CERT members performed actual victim extraction, firefighting, search and rescue and other actions typical during the first hours of a community emergency. CERT classes began in 2004, and since then, the Division of Emergency Management has now organized 29 groups, and more than 300 people have completed the coursework. Depending on the class content, classes are taught by members of the Lexington Fire Department or the Division of Emergency Management staff. Upon graduation, CERT members receive a backpack filled with preparedness supplies. The next CERT class will take place in March. Pre-registration for the CERT class is required, and class size is limited. Please contact CERT coordinator, Shelley Bendall, at (859) 280-8063 or by emailing sbendall@lexingtonky.gov for registration forms and materials. A more detailed description of the CERT program is available here. 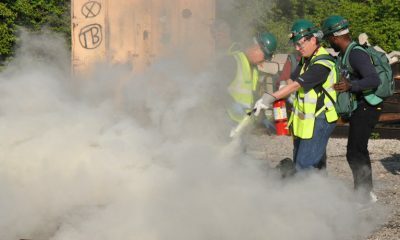 Here is a video of CERT TEAM 29 in action as they faced a simulated tornado strike on a Lexington apartment complex.